Typically each and every layer (front-end, middle-tier and back-end) has to protect resources and implement authentication and/or authorization – often against the same user store. Outsourcing these fundamental security functions to a security token service prevents duplicating that functionality across those applications and endpoints. Authentication is needed when an application needs to know the identity of the current user. Typically these applications manage data on behalf of that user and need to make sure that this user can only access the data for which he is allowed. The most common example for that is (classic) web applications – but native and JS-based applications also have a need for authentication. The most common authentication protocols are SAML2p, WS-Federation and OpenID Connect – SAML2p being the most popular and the most widely deployed. OpenID Connect is the newest of the three, but is considered to be the future because it has the most potential for modern applications. It was built for mobile application scenarios right from the start and is designed to be API friendly. 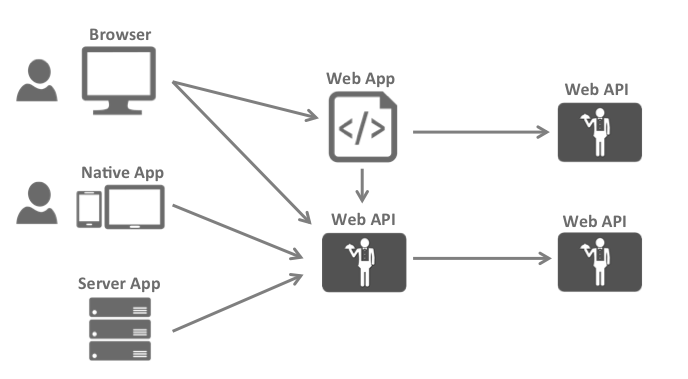 Applications have two fundamental ways with which they communicate with APIs – using the application identity, or delegating the user’s identity. Sometimes both methods need to be combined. OAuth2 is a protocol that allows applications to request access tokens from a security token service and use them to communicate with APIs. This delegation reduces complexity in both the client applications as well as the APIs since authentication and authorization can be centralized. OpenID Connect and OAuth 2.0 are very similar – in fact OpenID Connect is an extension on top of OAuth 2.0. The two fundamental security concerns, authentication and API access, are combined into a single protocol - often with a single round trip to the security token service. 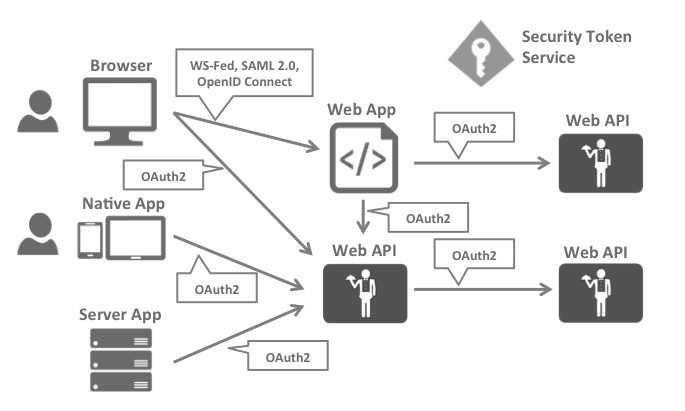 We believe that the combination of OpenID Connect and OAuth 2.0 is the best approach to secure modern applications for the foreseeable future. IdentityServer4 is an implementation of these two protocols and is highly optimized to solve the typical security problems of today’s mobile, native and web applications. 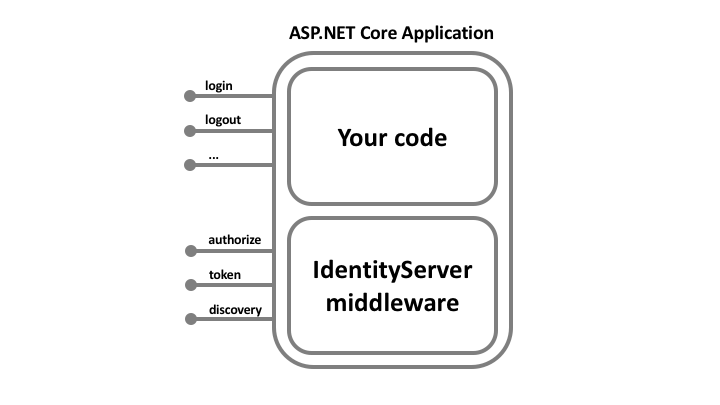 IdentityServer is middleware that adds the spec compliant OpenID Connect and OAuth 2.0 endpoints to an arbitrary ASP.NET Core application. Typically, you build (or re-use) an application that contains a login and logout page (and maybe consent - depending on your needs), and the IdentityServer middleware adds the necessary protocol heads to it, so that client applications can talk to it using those standard protocols. The hosting application can be as complex as you want, but we typically recommend to keep the attack surface as small as possible by including authentication related UI only.